Head Coach Paul Thomas, entering into his 12th season at Saint Mary's, has compiled a composite record of 215-137. So far this season, the Gaels with a 10-5 record, have proven if nothing else, an entertaining collection of players for Coach Thomas: "I like this team. We have great character and characters. It is an enjoyable team to be around. They're all good people"
This is a balanced team experiential wise. The team starts one senior, two juniors, one sophomore and one freshman, along with another freshman coming off the bench. Like the men's basketball team at Saint Mary's, the women's team is represented by players from Australia and New Zealand. Sophomore Forward Megan McKay (Australia) is the team's leading scorer, averaging 14.5 points per game. 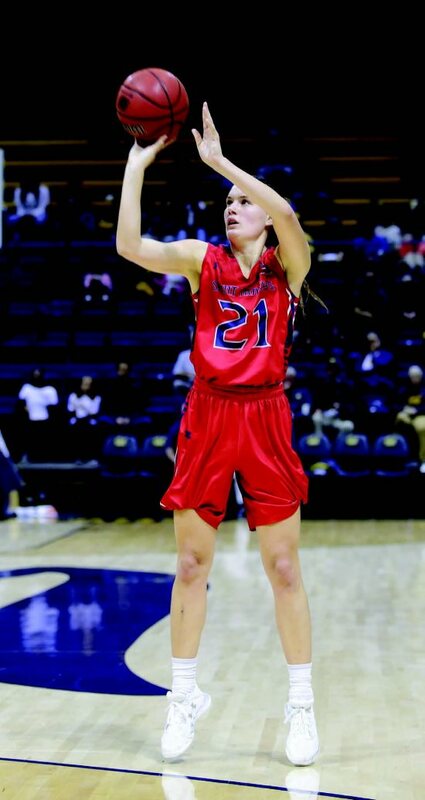 Guard Stella Beck (New Zealand), the lone senior starter is averaging 13.5 points per game and is second on the team in assists. Sophomore guard, Jasmine Forcadilla (Australia) is averaging 8.6 points per game. Thomas has consistently recruited players from the South Pacific. He cites "their experience in international basketball." Thomas has come to rely on Beck: "She is the team's undisputed leader but it also helps that there are no egos on our team." Sydney Raggio (San Bruno) has shown constant improvement and is second on the team in scoring, averaging 14.4 points per game. This is a team that needs more consistency overall. According to Thomas: "We have to care what we put out on the floor. We have had good and bad games. There have been long stretches when we have not played well." 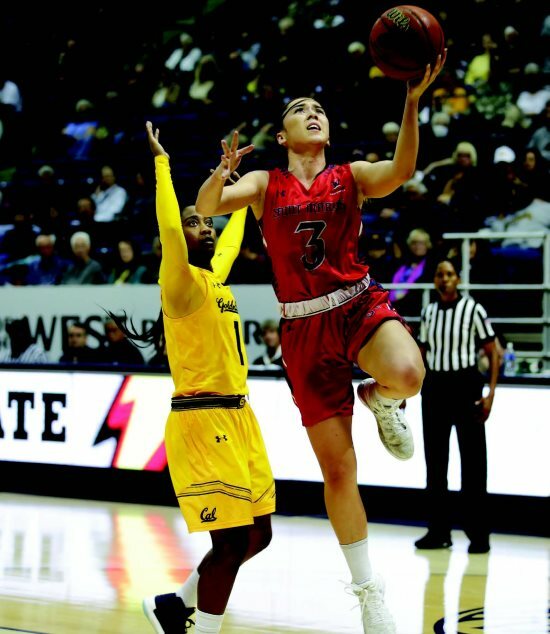 Thomas is holding his two freshmen, forward Madeline Holland (Burlingame) and guard Emily Codding (Santa Rosa) to a high standard: "We are expecting our freshmen to mature quickly and will not allow them to use their being freshmen as an excuse." Holland is averaging 7.0 points per game and is tied with third on the team in assists. Coming off the bench, Codding is averaging 4.3 points per game. If there has been bugagoo for the Gaels, it has been their propensity for committing turnovers. The Gaels have been averaging 19.0 turnovers per game, a number that Thomas agrees is an area that needs improvement and he is trying to address the problem: "If the team commits two turnovers in a row in practice, everybody runs. However. I have yet to see a difference in the games." Thomas is, however, very pleased with the aggressiveness of his team. Saint Mary's is averaging nine more free throws and eight more rebounds per game than their opponents which pleases Thomas: "We are a powerful team and this speaks to how we play defense and how aggressive we are getting to the basket." Thomas has made good use of his bench, going nine and 10 deep in most games in preparation for the upcoming league games. It has been a real opportunity for Thomas to utilize various combinations of players and see how well they work together but "I won't be going to the bench as much when league play begins." 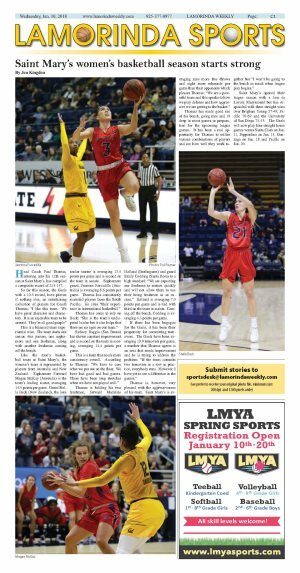 Saint Mary's opened their league season with a loss to Loyola Marymount but has responded with three straight wins over Brigham Young 57-49, Pacific 70-69 and the University of San Diego 75-53. 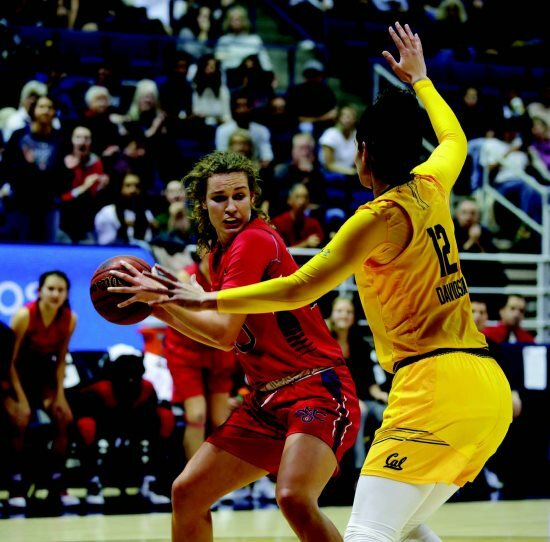 The Gaels will now play four straight home games versus Santa Clara on Jan. 11, Pepperdine on Jan. 13, Gonzaga on Jan. 18 and Pacific on Jan. 20.